Last week was my final class for my MS in Real Estate degree from the University of Texas at Arlington. This post is a journal of that week. 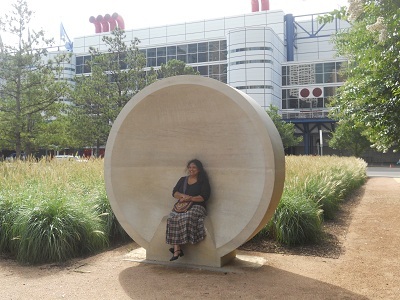 We traveled through Austin, San Antonio and Houston for the trip. This was a picture of our class (minus my wife who was taking the picture). I took about 600 pictures during the week as well as nearly filling one of those 3″x5″ memo pads. I’ve whittled it down to the best 80 or so pictures. We started our tour a day early because they were having the Cool House Tour in Austin. 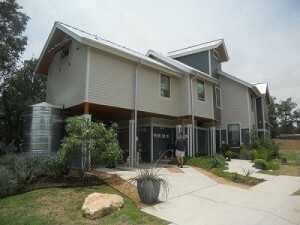 It featured 10 “green” built homes. Each was interesting in its own approach to greenness and sustainability. By the end of the day, many of the green features all started to blend together. This one featured a long east-west floor plan, stained concrete, double pane doors, the AC inside the thermal envelope, natural earth plaster and a stone facade. What really made this house stand out is that it is completely off of city water with a 20,000 gallon rainwater collection tank in the back, a great use of cross breeze ventilation and natural lighting in every room. And for what there was, there was grass that required little water – Buffalo, I think. This house belongs to a solar subdivision. Of course these homes aren’t run entirely by solar but every bit helps. In this house, no windows ever get direct sunlight. There’s a modular media room. There are windows high up to allow hotter air to escape. And as you can see in the picture, the driveway is half pervious. There was also some rainwater collection going on. The sign said there was a community garden somewhere. I think it was further up the street. Another house for sale on the same street has some interesting features too. I think they call it a thermal heat tower or something where the heat all collects at the top and is either removed by a window or vented back through the AC system to keep it moving. If I recall correctly, someone inside was commenting how if they took the savings from the utility bills and applied it to the principle, it would allow them to pay off the house in something like 10 years earlier. That’s an interesting way to look at the extra investment required for green building. This is a transit oriented development by Foundation Communities. It’s an affordable housing development built near one of the light rail stops. They reused an urban greyfield (underutilized but not polluted) concrete factory. They collect rainwater, use solar energy and high efficiency fixtures. Another curiosity was the playground. The couple of playgrounds we saw didn’t look anything like what we grew up with. Many of the features were unrecognizable to us and we found ourselves theorizing what kids might do with them. This adaptive reuse turned an old dilapidated house into a house, architect’s studio, metal shop and permaculture land. 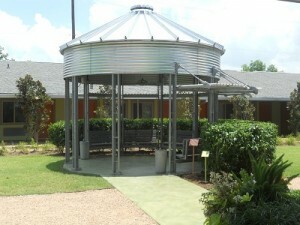 They have a green room, lots of native landscaping, and lots of metal art and structures. 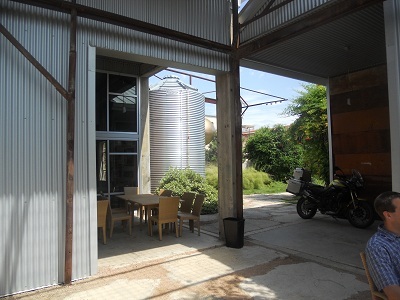 The neatest feature was a grain silo that was converted to architect meeting rooms. This particular property stood out in my mind several ways. First off, a green roof on a residential property. Secondly, a lot more art built in to the design (metal works). And lastly, it was warmer inside than most of the rest of the properties too. Obviously there’s only so much that can be done in adaptive reuse and I’m sure it would have been cooler inside if people hadn’t constantly been opening the doors. This house is part of the Mueller Development that we toured the next day. Of interest here was that this was the only house that displayed their active monitoring of energy usage. I forgot to take pictures there but the person monitoring the energy stated that they were paying 10% less on utilities for this 3250 SF house with more people in it (including a tenant in a detached unit out back) than they had been in their previous 1200 SF house. The other thing that stood out was how much dark wood trim there was everywhere in this craftsman style house. The next few houses were in my old stomping grounds in the Brentwood/Crestview neighborhoods. Alegria was in an existing neighborhood. I’d thought you couldn’t build more than 2 stories without a variance of some sort but this one and the Taulbee one coming up were both 3 stories. Of course there was just a reading room on the 3rd story and it was pretty warm up there. As you can see in the picture, it had wide porches in front and in back. It also used the stack ventilation method of drawing hot air off the top and recirculating cooler air. They had LED lights as well. Dominique Levesque from Another Great House was the builder on this house. Funny enough, I used to know Dominique and it was good to see what he’d been working on since I’d last seen him. His comment was that this house was more about simplicity than featuring all the features as many green builds do. It was just a nice place to be. While I took pictures of some of the interiors, most of them wouldn’t jump out at you as something unique. This picture of the screened windows in the master bedroom were an exception. They highlight not only the practicality of screening the windows (surprisingly absent from most other properties) but the nice symmetry of the design. The guidebook also mentions that this house was designed with outdoor living in mind – the residents have 3 dogs. This was actually the street that I built the tiny house on so it was nice to drive down memory lane. The unique feature of this house was that it was the only straw bale house. AND it was 3 stories if you can believe it. The picture to the right was the front facade. It doesn’t jump out at you as a sustainable house nor scream green building. In fact, we had to look fairly closely to decide whether they were functioning garages or not. We guessed yes. While many folks in the planning field think the front of the house shouldn’t be built around cars, I’ve seen a number of other cultures that make good use of their driveways for social interaction as well. This driveway could host a really great picnic or party if you got out the tent shades. They had someone giving a discussion of straw bales. The bottom floor was stained concrete and the other floors were wood. Most of the interior that I saw was plaster as is typical of straw bale homes.The interior was fairly unique – I think it had more of an Eastern flavor of large, open veranda near the middle of the floor plan. It’s always nice to see an intersection of better design (past the basic long, box homes with typical features) along with the sustainable features. While this staircase wasn’t conducive toward large groups touring through, it was unique among the homes we saw. There was another way up to the second floor so there was enough circulation if you know how to navigate it. The color pallet of the interior was also more calming than some of the others. By this time we were approaching exhaustion in the heat and walking around. 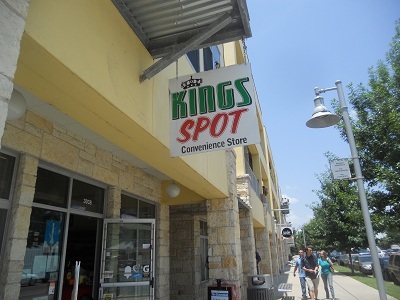 This was a little bit of a drive away in north west Austin. But once we got here, we were glad we made the trip. This was a blend of luxury and good design. It doubles as an architect’s office. It’s huge – about 3800 SF but has an average utility bill of $125/mo. It has all the basics like longer east-west walls, great use of cross winds, lots of natural light, sustainable materials, etc. 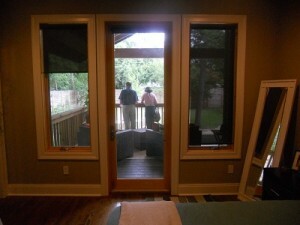 The coolest feature to me was a screened-in porch. It has great breezes, a fantastic view and a custom made fireplace. 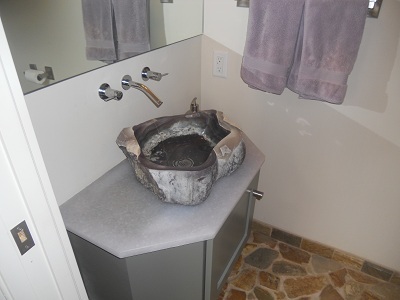 To give you an idea of the attention to luxury, check out the picture of a bathroom sink – it’s a hollowed out half geode. That was the end of our Cool House Tour. 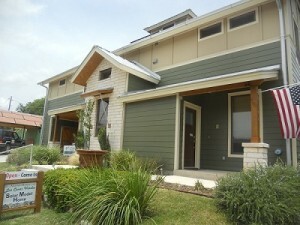 There was another house in Pflugerville with green features by KB Homes. From the booklet (and considering our exhaustion) we opted to skip it. TreeHouse is a new home improvement store devoted entirely to sustainable building products. We were fortunate enough to get a personal tour from one of the founders of the business, Jason Ballard. 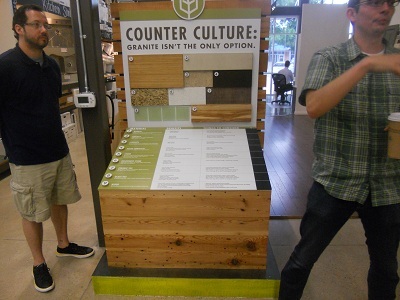 The concept of the store is that all the sustainable products have been curated to one location. He emphasized that it was a curation process because they can’t possibly have every product that claims sustainable traits. They look for better products and preferable local. They also are willing to match any price you find online elsewhere. They were started with private investment and are still privately held. 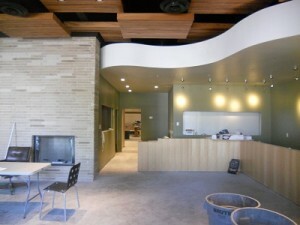 They have architects and interior designers on staff for customers to plan their projects with. Education drives many of the concepts. Many people don’t know what’s possible so there are displays all over the store talking about that. They mostly service homeowners currently and hope to incorporate more professionals in the future. They’ve found their market so far hasn’t been the do-it-yourself crowd as much as the do-it-for-me crowd. Those are the people who come in, figure out what they want, and then have the professionals install it for them. They have a section devoted to recycled materials. Another great feature that’s often overlooked in sustainability efforts is that they also focus on the aesthetics of things. 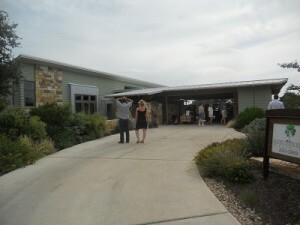 They consult with lots of important advisors in addition to their board of directors such as the LBJ Wildflower Center. An interesting phenomenon has been that they can’t seem to keep their preferred rainwater collection barrel in stock. The store is really worth visiting if you’re anywhere in the area regardless of whether you have a pending project or not. 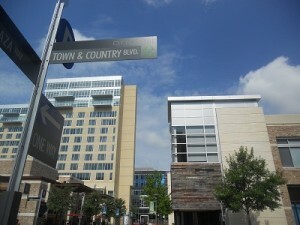 There weren’t many pictures to be taken at the Austin Downtown Alliance. Molly Alexander met with us for some time and talked about this organization. It’s similar to a mandatory homeowners association for downtown properties. The ADA is devoted to improving downtown. So they employ transitional folks to pick up trash. They have downtown rangers to request people comply with keeping the place up. Molly’s role is to advocate for the downtown property owners and downtown in general. She’s also looking into improving downtown’s mass transit options and improving the homelessness problem. She quoted the statistic that 140 homeless people die every year on the downtown streets. Evidently it’s more cost effective (not to mention more compassionate) to get these folks into housing even allowing for their existing addictions than to let them stay on the street and be a drain on the medical and security systems. The Mueller Mixed-Use Development was our next stop. It was the 700 acre site of the former Mueller Airport before it moved out to Bergstrom Air Force base and became an international airport. They set up the utility infrastructure to be changed from residential to commercial should that use be more appropriate some day. 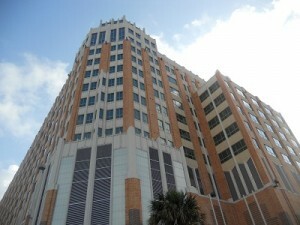 The development is home to the Dell Children’s Hospital is the world’s first LEED Platinum hospital. 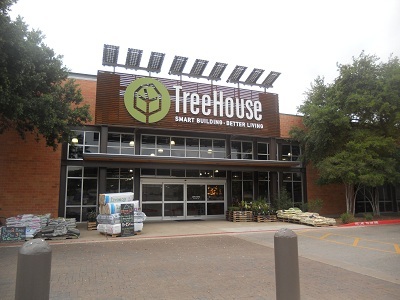 HEB is slated to come in with a LEED Platinum building. They already have a Best Buy and Home Depot that are LEED Gold. They have twice as many trees as is typically specified. They are 30% built out and completion is scheduled for 2020. Twenty-five percent of the residential is built as affordable and managed by the Mueller Association. If one of the units is sold, they try to buy it back and keep it affordable. 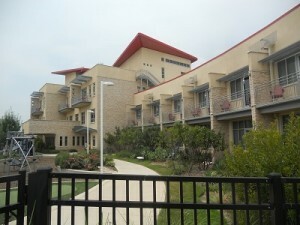 The Ronald McDonald House in the Mueller Development is also LEED Platinum. Of all the buildings we saw, this one stands out as a high expression of sustainability and aesthetics. 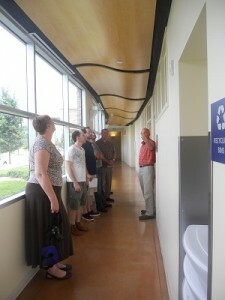 Kent Burress, the CEO, was our guide as we toured the building. He has a background in construction management so he was highly involved in the design and construction. 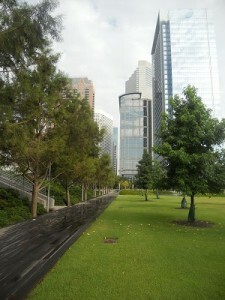 Almost every green feature of this building was added with the use in mind. Most of the views face Dell Children’s across the street. The foundation used 40% fly ash from Bastrop which is relatively local. There’s no formaldehyde anywhere in the building. The building opened in 2007 and they’ve already recouped their investment in green features by the savings in utilities. There are all low-flow fixtures. 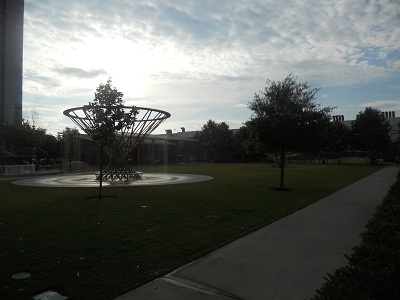 The landscape is low water and is irrigated with reclaimed rainwater. 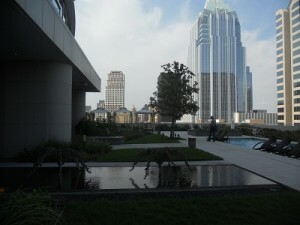 They have a few nice rooftop patios with green roof areas. 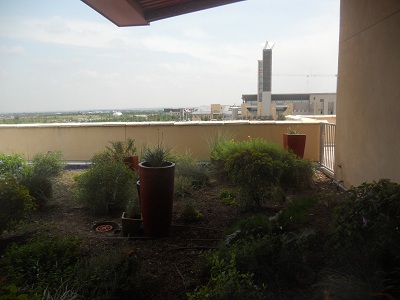 The cool thing about their rooftop gardens is that they decided to plant in 8-10″ of soil instead of the typical amount which is often twice that. With 30,000 SF and up to 30 families staying there at a time, their highest water bill was $300 and their highest utility bill was $2390. 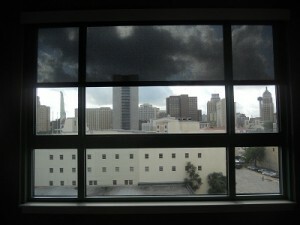 Ninety percent of the occupied spaces get natural light and 86% have views to the outside. To give you an idea of the attention to aesthetics, the hallways are curved because studies show that curved paths are more calming than long straight hallways. The curves also serve a sustainability feature. The building actually shades itself in many areas. They did a number of CAD renderings in the planning phase to get that part right. There are lots of cool features like solar powered motion sensor bathroom sinks, rooms that turn on with a room key, a film on the single pane windows (found to be more cost effective and equivalent thermally to double pane), and air quality systems that work on a room by room basis. The beautiful thing about this building is that it takes even the little details into account for making it a comfortable place to stay. There’s a memorial rock garden outside as the program has taken on a bereavement function as well as that was completely unavailable elsewhere. Many other LEED certified buildings are long boxes. It’s as if the sustainability criteria trump any sense of aesthetics. 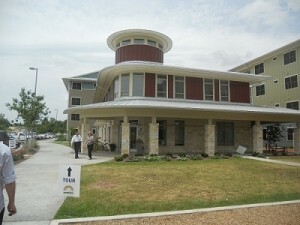 The Ronald McDonald House stands as a testament to the fact that you can have a highly aesthetic sustainable building. The Austonian is Austin’s first luxury condo building. 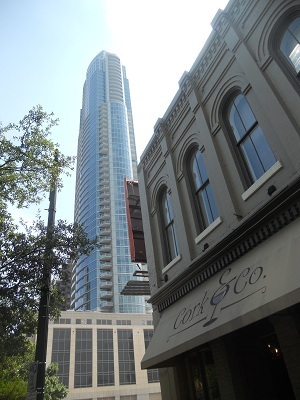 It’s also Austin’s tallest building at 56 floors. My biggest question was how such a building came into being given the real estate crash in 2008. It turns out they’d already secured financing before that and just recently completed building. They are 65% locally owned and 55% sold. Obviously they didn’t meet the initial projections after the real estate crash did a number on the condo market. The top two floors are community space available to all the owners. The top floor is a gym and yoga studio. The most surprising view was looking down on the Frost Bank Building. 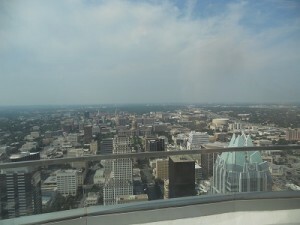 Prior to the Austonian being built, the 360 Condos were the tallest building followed by the Frost Bank Building. The prices are currently ranging from $670K to $10M for a whole floor that’s 8561 SF. The HOA is $0.67/SF/mo and that includes most bills. 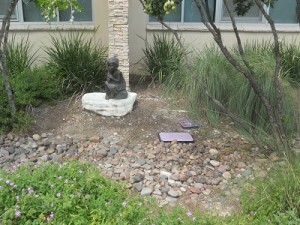 While they didn’t go for LEED certification, they did include a number of sustainable features. The pool and green roof are serviced by the AC condensation. That seems to be the trend – only using the sustainable features that make business sense. The big opportunity for sustainability consultants is coming up with hard numbers to substantiate such claims. 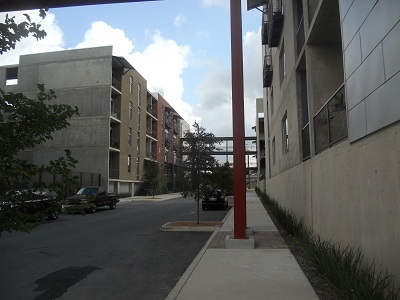 So Austin now has luxury residential condos. The ACDDC is a non-profit devoted to improving sustainable and affordable housing options in Austin. They have a big hand in the Alley Flat Initiative that I wrote about previously. As we heard from the director, Sam Gelfand, they struggle with the financing issues that I mentioned. The design criteria are high enough to price out most homeowners requiring about an $100K investment. Then they are required to charge no more than $750 in monthly rent. In exchange they get design consultation and expiditied and reduced fees on permits. Those rent payments might or might not cover the payment on a home equity loan for that amount. And as any landlord can tell you, you’ve also just made another job for yourself. So there haven’t been many takers for the initiative even though it’s a great idea in theory. They’re continuing to look for other ways of making it work including prefab. Perhaps they should check with Kanga Room Systems if they haven’t already. The ACDDC has been more successful in other projects including getting federal weatherization funds to improve a low income housing project. The TDA and PT are located together so we had a conversation with both directors which was fun and informative. The TDA works with small towns with less than 10K population to help them renew and improve their downtown presence. Preservation Texas does what the name implies. The TDA recommends setting up “destination businesses” for downtowns. That’s where the retail space has one purpose during business hours and and alternate purpose in the evening. An example could be a gift shop during the day that has wine tasting or salsa dancing in the evening. That’s actually good advice for any downtown retail. Most establishments aside from restaurants are only open daytime or nighttime and create relative dead zones when they’re not open. The things that indicate a downtown needs some work are vacancies, suboptimal parking arrangements, signs that detract from curb appeal, creative attempts at decorating the streets, general upkeep, trash cans (do they have them and are they emptied out? 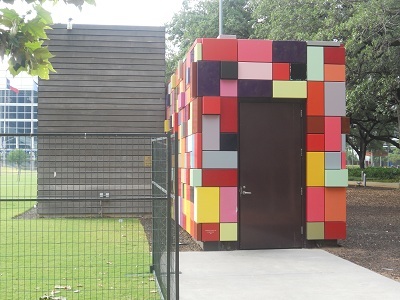 ), and available public restrooms. Some terms for further study are “economic gardening” and “pop-up stores”. The question I came up with is why we want to improve small town downtowns. The TDA is a membership organization so that makes sense for small towns that want help. From overall sustainability point of view, I wonder whether they’re really worth saving. If the majority of their talent leaves as soon as they’re old enough, what are they building on? Pedernales Lofts are a LEED Gold mixed use development on East 6th St. The notable feature of this property is that the ground floor is flex space meaning the owner can use it for retail, office and/or residential. The side facing 6th Street is mostly retail and some office. The side facing the other south-facing side is mostly residential. Apparently the idea was that after some time the adjacent properties to the south will be developed and activate pedestrian traffic and make those units attractive as commercial uses too. 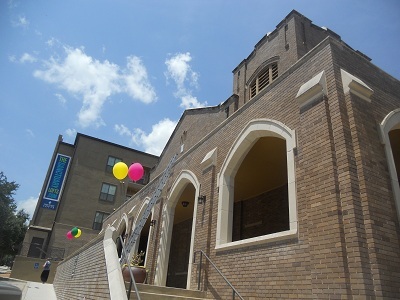 Sanctuary Lofts are a converted church first built in 1925. 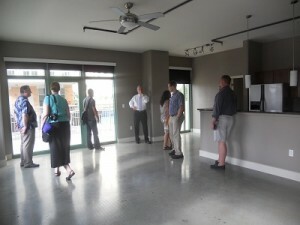 They are primarily student housing and have everything from efficiencies to 4 bedrooms and rent on an individual basis. 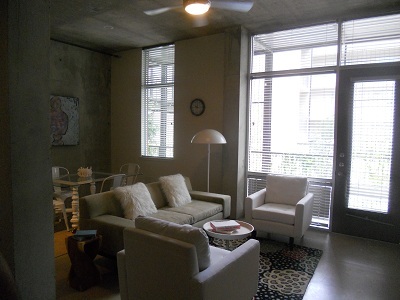 If I were starting over as an 18 year old undergrad, this would be a great place to stay. It’s a great example of adaptive reuse. Neel Morton spent some time talking to us about a couple of projects he’s worked on as we migrated south to San Antonio. In a previous post I talked about pocket neighborhoods. Neel has worked on plans for a couple of different co-housing projects. One is built in Tucson, AZ – Milagro. Another had financing issues as these types of projects often do. Neel was working with different materials including ICFs – insulated concrete forms. They look something like CMUs (concrete masonry units often referred to as cinder blocks). 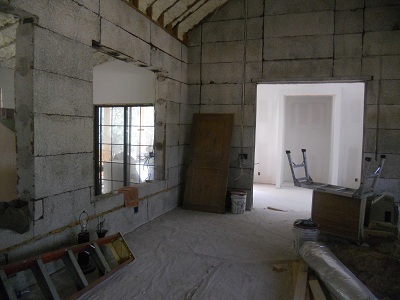 The ICFs are basically shredded pallets mixed with concrete and provide superior insulation, are more sustainable (preferably locally sourced), and are much lighter to work with. Of course if you go ahead and fill them in with concrete as is the typical practice, some of the sustainability benefits are negated especially from an embodied energy standpoint. He said this building was going to be a residence but it looks a little bit like a retreat center to me. Another building nearby was a different concept. 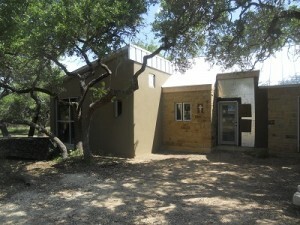 He’d built it years ago and used rammed earth. They’d done 4′x8′ sections of it at a time. At first it was getting hot inside and then he built on another room that shaded the hottest part. When I went inside, it was comfortable and the interior thermal mass wall was cool to the touch. The main drawback here was the elements. We drove in on marginally paved roads across a low water crossing kicking up white dust the whole way. We really should have left our car elsewhere because it’s not an off-road vehicle. Also, I’m still recovering from the 10 or so chigger bites I picked up. 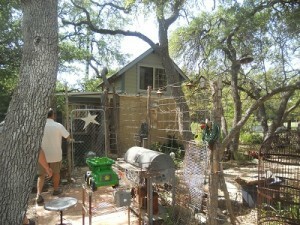 We drove into San Antonio after visiting in Wimberley. We got in early enough to go have dinner on the Riverwalk. Our hotel was close enough that we walked the mile or so back to our hotel. Prior to starting this tour, I’d been doing remodeling work on our new house (not a tiny one) and doing an extended juice fast. While I can say in retrospect that was a terrible idea, I hadn’t really thought how it would be. All I can say is that I started the tour exhausted. After those first 3 days, I was even more exhausted and despite going to bed by 10:30pm, we didn’t hear our alarm and overslept by about 2 hours. We weren’t there for this one, I regret to say. I’m sure it was interesting. Please check out their website for more info. Solar San Antonio was our first visit of the day. Larry Sinkin was our primary host and he talked at length about their non-profit’s efforts at getting as much solar energy going in San Antonio as possible. They’ve got all the resources set up from tax credits to financing to installers. 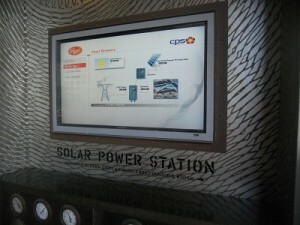 It’s a one stop shop for all things solar. Their website says they’ve assisted with over 600 projects and have 55 applications pending. The reason San Antonio is interested in promoting this is they see this as a citizen funded alternative to building another coal plant. The market demand is there and SSA is helping consumers bridge the gap and make it a reality. It’s an inspiring operation that hopefully other cities will emulate. One key concept from the discussion was to look at the “value of solar” instead of just the cost. It’s a win-win for everyone on a lot of levels. At our current technology levels, installing solar on a residence will pay itself back in 8 years. No doubt that figure will continue falling as technology improves. Our next appointment was with Marty Wender who is a major land developer in San Antonio. He’s been responsible for much of the development in north west San Antonio including Sea World. Marty was probably the most inspirational speaker on our tour. He told us his story from starting out in the family business to going out on his own and putting together a multi-million dollar land deal. Marty calls himself a “deal junkie.” He says he worked harder to make the deals that no one wanted. North west San Antonio used to be nothing but hills, rocks, an aquifer recharge zone, and – as you may have guessed – an endangered species. He said all of the biggest opportunities in his life were what others would call the wrong conditions for success. He built roads and convinced the state to build highways through them. He got access bridges built. He built out the Westover Hills area. And instead of regular roads, he built boulevards. That brought the major employers. Marty says he’s a salesman first and ideas guy second. His attitude is “Yes, unless there’s a reason we can’t.” Most retail and service professionals would do well to pick that up. He says his job is to fix problems and that the solutions are often better than if there had never been a problem in the first place. He’s always used the best advisors and helpers he could afford. Even with all of his success, he still only has one employee. Instead of location, location, location, Marty says the most important features being location, timing and capital. He says he was in final negotiations with Disney to bring a Disneyworld to San Antonio prior to the Disneyland Paris failure. The timing and capital were wrong even though the location was right. From a tactics standpoint, Marty prices land based on use. A generator is someone who will bring other traffic in and build up the are like a major employer. A user is someone who capitalizes on the traffic but doesn’t bring in any of their own like a gas station. Users pay a premium for land. The other criteria Marty uses to evaluate a deal are whether it’s going to be an improvement for the area. He’s been in it for the long haul and relationships are important to him. It was a real treat to get to meet Marty. I missed who tipped us off on this one but it was very cool too. Basically the city of San Antonio built 4 houses of about the same square footage and floor plan. They built one with SIPs (structured insulated panels), one with aerated concrete block (R-60) and one from reused shipping containers. The plus one was a conventional build. They plan to make them affordable housing and monitor the energy usage for 2 years. Sounds like a fantastic idea. 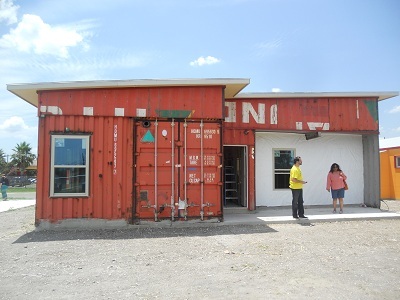 For those of you who have seen shipping container houses before, this was totally different. Almost all of the shipping container houses I’ve ever seen have retained the original shape of the containers and simply cut openings into them. 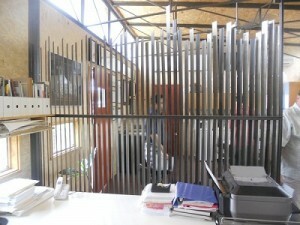 A graduate of the architecture program from UTSA designed this one and had welders cut it to fit the design. I don’t know why more people aren’t doing that. If you’re going to cut doors and windows, why not cut a better design while you’re at it? It fit the criteria for affordable housing so it can’t be the cost that’s stopping anyone. A former student of our professor, David McGowen spent a little time with us in his city office. He talked about different things the city is working on like a land swap with the federal government so they can get some prime downtown land and the feds can get updated buildings. They’re working on bringing in more mixed use and making downtown more friendly for young professionals who want to come and stay. For those of you who know about downtown SA, it’s great for tourism but not many people actually live there compared to other downtowns in cities of comparable size. Another example he cited was that when people drive down to a Spurs game, they go, watch the game and then drive home. There’s no much there for people to walk to or many businesses to patronize. And this is still a downtown location too. Our next stop was Heather Holdridge of Lake Flato Architects. Heather is actually an engineer they hired to help them improve their sustainability design. She does a lot of energy modeling and talking about high performance buildings and energy efficiency. It was interesting hearing about the evolution of their planning meetings. Before, they used to just go down the LEED checklist which is probably how most people still do things. Now, they have what they call integrated design charits. I probably misspelled that last word but google and everything else thinks I’m trying to say charity. It’s a fancy architecture term for design planning meeting. Their planning meetings now consist of all the major players going around and talking about how their areas of emphasis are affected by any design criteria and potential ideas. Heather says she’s most excited about the possibilities of regenerative design. There are TED talks available about that if you’re not familiar. The basic idea is not just that the building can reach net zero energy use and the much harder net zero embodied energy but that it can contribute back to the environment in itself. As a former architecture student, I was curious what she thought the biggest thing was that architects miss from an engineering point of view. She said it’s the impact of the building envelope. Most architects are mostly interested in the visual design of the facade and that’s it. Lake Flato designed 1221 Broadway which we later toured was developed by Ed Cross who we later met. Our last stop of the day was the Pearl Brewery Development. It’s a mixed use development on the north end of the Riverwalk and was intended to draw local traffic in contrast to most of the tourist development. We looked around and checked out their solar power station monitoring screen (pictured below).We also browsed the AIA San Antonio (American Institute of Architects) office. We stopped in a restaurant and had some great tacos and tres leches cake. Apparently there are some other good restaurants there as well as a year round farmers’ market every Saturday. If you’re ever in the area, I highly recommend checking it out. We met Ed Cross for breakfast at Mi Tierra Restaurant which is near his main claim to fame, The Vistana (pictured here). I’ve inserted more pictures from The Vistana along the way so they’re not all clumped up where I talk about it. Ed spoke to us about his idea of sustainability which focused more on durability, energy efficiency and using local where available. Prior to getting into property development and management, I believe Ed said he was a CPA with Ernst & Ernst which was a predecessor of Ernst & Young at some point. He talked about the oil booms and busts in Houston first and then San Antonio. Ed started off buying distressed assets in 1990 and between ’92-2000 he bought 25 different assets. 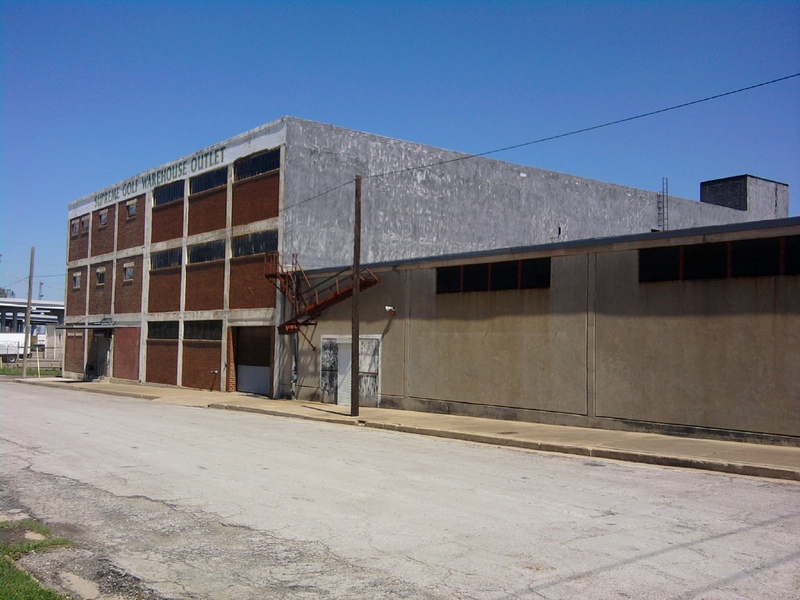 He noticed that compared to his commercial assets, the industrial assets (mostly warehouses) were very low maintenance and had good cash flows and that parking was a great asset too. 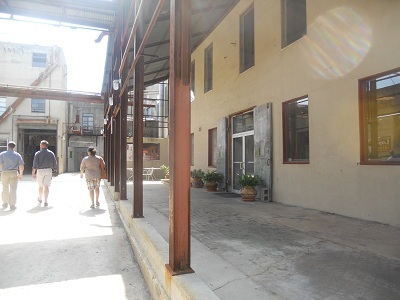 Urban renewal came through and completely gutted eastern downtown San Antonio. They basically leveled all the historic buildings and put in wider roads. Some time after that, Ed started developing The Vistana. It was originally just going to be a residential tower then he added a level of retail, then parking, then mini-storage. The Vistana has 247 apartments which are nearly entirely occupied, 114 storage units and 30K SF of retail space which isn’t doing well at all. He says he’s just breaking even on the project at the moment.At this stage in the game, the retail isn’t doing so well. He also commented that you should never put a hole through the middle of your building like he did for his banking tenant to have a drive through window. Ed said if he were doing it again, he would have built more 1 bedroom apartments as you can fit more of those in and charge more rent. And the larger apartments aren’t in as high demand. As we toured The Vistana we noted that the rooms were fairly spartan – concrete floors, exposed sprinkler systems. Aside from the lower maintenance of such a design, there’s a certain aesthetic appeal to it as well. The windows even open – a little. It’s an industrial look. Ed talked about the difference between merchant builders who build and then immediately sell and the investment builders who build it and hold on to it. As pointed out, it’s probably harder to get the merchant builders interested in sustainability features if they’re not interested in the long term viability of a project. Ed said that urban renewal and urban infill haven’t taken much hold on San Antonio yet as San Antonio is behind 5-10 years on most trends. The 1221 Broadway story was pretty interesting. He bought it as a distressed property and then the prior owner fought him through court for it. It turned out the owner had fabricated architectural plans and ended up going to prison for it. HUD financed the rest of the development of it, Lake Flato came up with a new design and it turned out great. More on that in a minute. Another interesting pointer from Ed was that he prices his units like airline seats – you pay more for a better view and better amenities. Sounds like good business sense. As mentioned before, 1221 Broadway was an Ed Cross and Lake Flato project. There were other partners involved too, those were just the ones we got to meet. We showed up and were glad to find ample parking even as the apartment complex is mostly rented up. My notes here say it’s mixed use – I think some of the units are intended to be live-work units but the guide said no one is using it that way yet. They have a large parking garage and have some retail in the works. 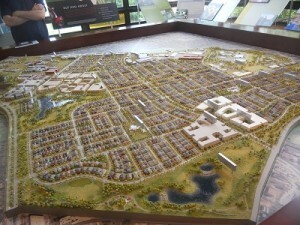 They have 268 units built out and more planned to reach 307 total. This is a really cool place to be. The materials and colors are hard to put into words. It’s a more contemporary industrial. In addition to the concrete and pipes all around are splashes of color reminiscent of some fun colorful part of a small developing country. The average utilities run $50-70/mo based on the green features which our guide didn’t go too much into. The model one bedroom we saw goes for somewhere between $1300-1400. There are lots of cool features like an app that lets you play your music on the speakers by the pool, a decent gym, a city bike rental station, social events — and the best part — they’re on the Riverwalk. I really can’t say enough good things about this property. It was featured in a HUD publication of sustainable residential properties. 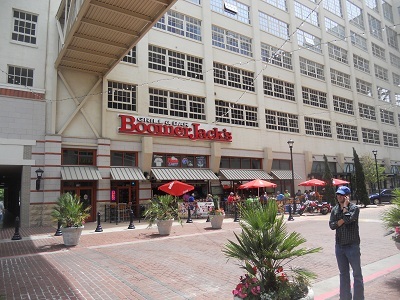 The Friedrich Building is an old converted AC factory. From the look of it, the development hasn’t been as successful as they would have liked. 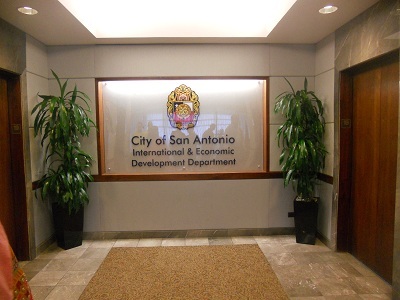 The city of San Antonio considered purchasing the building and using it for their school district administration building but that hasn’t gone through either. It’s a pretty cool building nevertheless. It probably just didn’t have enough of the location, timing and capital going for it. Alamo Architects was the next stop before lunch. 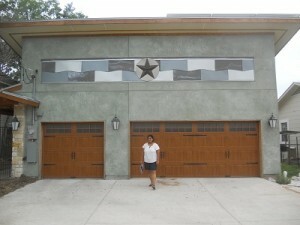 It was another great example of adaptive reuse as a prior truck repair shop. 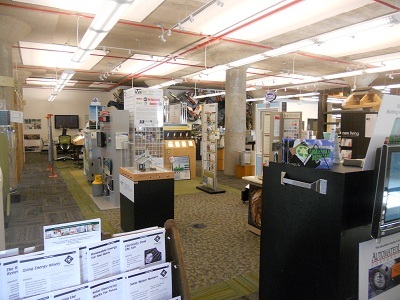 Their building reused much of the hardware left there and was able to achieve LEED Silver status in 2008. The big gold ball slightly visible next to the rainwater collection cistern was evidently from the Pope’s visit one year. Advanced Earthen Construction Technologies, Inc.
Larry of AECT spent some time with us after that. We must have been there a couple of hours and it was fascinating. The site certainly got my attention as a forklift drove by, a 2″ diameter rock shot out and caught me in the cheek. Fortunately it was smooth so didn’t break the skin but it left my jaw a little sore. 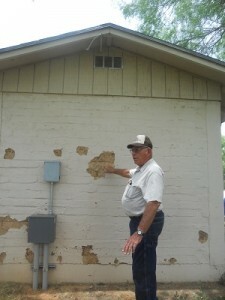 The picture at right is Larry pointing out the durability of one of their CEB (compressed earth block) buildings. The big pock marks were due to flying debris from a neighbor. One interesting lesson learned from this particular building was that you shouldn’t mix materials. Someone insisted that the top layer be stabilized with concrete for the roof’s sake. The CEBs were plenty strong without the concrete but what happened was that the concrete expands and contracts at a different rate than earth alone and a crack rimmed the building where the concrete started. Then Larry went and got his tractor to demonstrate the CEB process in work. We all got souvenir blocks to take with us. Visit their website if you’re at all interested in natural building materials. They have a good photo gallery there. They also have lots of resources for further study. After that we began the 3+ hour trip to Houston. After chiggers and being hit in the heady with a rock, I welcomed the down time. 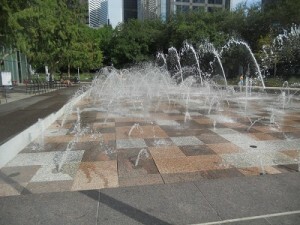 Discovery Green is Houston’s downtown park. It got a LEED Gold certification. Presumably that includes the entire site which consists of a few fountains, a dog run, lots of open green space, a couple of ponds, a couple of small buildings, lots of landscaping and – if you can believe it – underground parking for the whole convention center. We had the site manager, William, on hand to give us an impromptu tour. Unfortunately none of the cafes were open for us to grab a bite. Fortunately, the hotel we stayed at had hot breakfast included in our bill. It seems like even a taco truck would have done fantastic business at this hour in the middle of downtown here. The cool thing about the parking is that you can’t see it from the park. The entrance is concealed by a berm and accessed through two colorful block entrances. The park has made a huge impact on the area. William recounted one local worker in particular who expressed what a big difference downtown is now that this park is there. 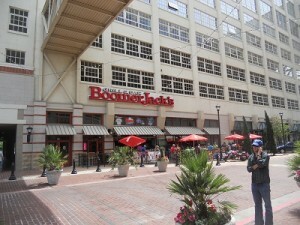 It really transformed the area and had made it a much nicer place to be if you want to live nearby in downtown. Most of the wood on the site is IPE which doesn’t need treatment to last a long time outdoors. One of the cafes on the site has a rooftop restaurant area complete with a veggie and herb garden the chef can pick fresh from. There’s an express library if people prefer to have books transferred there for pickup. They have solar panels but they sell the power back to the grid rather than use it themselves. There was another cool feature hidden on the side that was an amplifying structure of some sort. The idea is that you sit in one and someone else sits in the other about 40 feet away. Because of the amplification, you can hear each other perfectly without raising your voice. William talked about the power of 10 rule. The idea is that you need about 10 different activities/uses/purposes in an area before it becomes a strong draw for people. It was evident this rule played a part in the design of the area. One humorous story was that evidently Houston residents wanted goldfish in the pond. So they would covertly release them there despite the park’s best efforts to keep them out. Now they have goldfish. Another cafe started out as a gourmet, organic restaurant but the majority of the market couldn’t afford to eat there as a regular lunch option. The cafe switched their fare to more affordable (and slightly less healthy) options and they’ve done great ever since. What people may not realize about the park is that it’s privately owned. No doubt that’s a contributing factor to it’s success. While it’s free and open to the public, they reserve the right to ask anyone to leave that isn’t following the rules such as no sleeping on the benches, etc. Check out their website for listings of events as there are many. 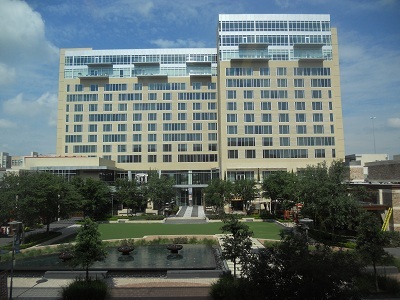 City Centre is a great example of an upscale mixed use development. While you’d think that most mixed use developments are upscale, this one is somewhere between that and luxury. It’s 37 acres and was an abandoned mall before that. In fact they basically got it for a steal – they got it for what it would have cost them to build the three existing parking garages alone. They’d done a ton of market research to know this area was underserved for the demographic. They have a lot of unique establishments such as Ruggles Green which had been recommended to us. Instead of looking for traditional anchor stores, they sought out activity drivers and synergistic uses. Anthropologie was their first tenant and open at a volume 30% above projections. They have the similar orientation that most of the successful developers we talked to had – make a positive contribution to the community in addition to making a good return on the investment. They’ve been successful enough that their office rents are comparable to what you’d pay to office downtown. And as we’d heard before they’re interested in the economic benefits of sustainability. They have much better pictures and more information at their website. 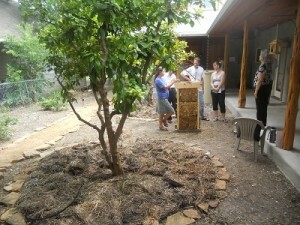 Our next stop was New Hope Housing. I had some familiarity with them due to them being mentioned in a trends class I had as well as being a featured component of the ULI Urban Design Competition I participated in earlier. But it was nice to actually see it live. For those of you unfamiliar with NHH, they are a non-profit whose mission is to reduce homelessness and help transitional folks. Some people like the community aspects well enough to stay long term too. They build SROs – single occupant residences. The idea is to make affordable housing by making the spaces smaller. When you’re doing urban infill, people – especially single people as they require – don’t need as much space. Clearly that’s an obvious idea here on a tiny house site. 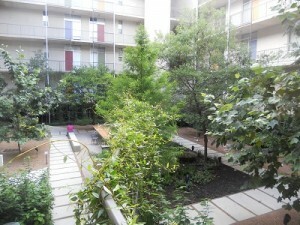 Aside from the space, what makes this work so well is what they call their permanent supportive housing aspect. They have community managers that know the residents personally and check in on them. One surprise for me was to walk into a unit and see how small it actually was. It was 235 SF, had a bed, a fridge, a bathroom and a microwave. The idea was that people weren’t meant to live in the room but to get out and engage with the community. There was a commercial community kitchen for those that wanted to cook. Also, if a resident happened to begin slipping into old anti-social habits they would be required to accept help from the program. Otherwise they would be asked to leave. They also have programs focused on improving job skills and finding a job. And while they were started by a religious organization, they aren’t a faith-based organization themselves even though Bible studies are offered. A really ingenious aspect of their finances is that every building is paid for before they build it. They get 3/4 of the funds from low income tax credits. The rest is from HUD and private donations. Their operating expenses are paid entirely for by the rents. To help with those operating expenses, they build green. 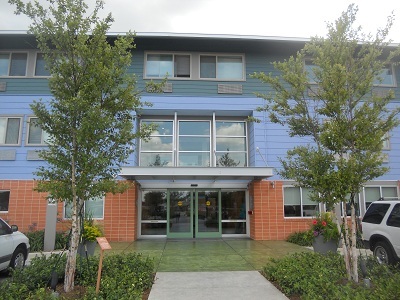 With 166 units, the Sakowitz building was the first LEED Platinum affordable housing development in the country. 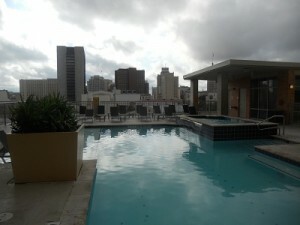 The 235 SF units go for $435 per month all bills paid. I don’t know how it could get more affordable than that for having your own room. By the end of next year they forecast having over 900 units across 7 properties. This is a non-profit to watch as hopefully they start a trend. Just prior to this visit, I’d been asked to procure a visit for the next day (Saturday). I’d heard that the mega-developer from Houston Gerald D. Hines had built a new LEED certified office skyscraper. I looked it up and found the name. I called them and was told no one would be in the building to open it on Saturday. Leasing put me through to property management who referred me back. It was a no-go. We drove by to check one last time later that evening. 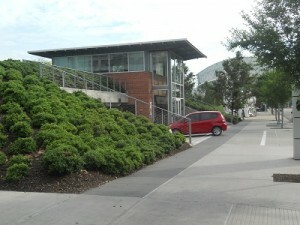 It’s a great building – LEED Platinum. 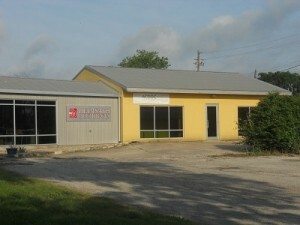 More info on the building can be found on their site: http://mainplacehouston.com/. Another of our tour participants was able to secure us an appointment with AmREIT. They are a REIT (real estate investment trust) focused on what they call “Irreplaceable Corners” which are primarily retail. While you might not think that retail would be the market to be in right now, they’re doing pretty well with it. The CFO Chad Braun and SrVP Charles Scoville were kind enough to spend a late Friday afternoon with us. They are also focused on urban infill which is a rising trend. They’re finding that low water landscaping is becoming a necessity. They’re tackling the challenge of making bricks and mortar competitive with online shopping. They’re finding that tenants’ space requirements are generally getting smaller as more businesses find it’s better for them to specialize than warehouse. They’re aware that retail needs to embrace the Starbucks principle of becoming a 3rd place. While this wasn’t part of the tour, my wife kept insisting that I needed to see Kemah. So us and another tour participant went. It was more than I expected. 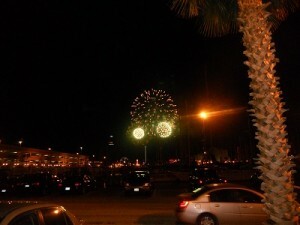 It was more commercialized than she’d remembered but we found a nice seafood restaurant to eat at and then enjoyed the fireworks show later on. Since almost nothing business related is open on the weekends we only had one stop on the last day. The City of Houston has a green building initiative in conjunction with their permit and code enforcement division. The Green Building Resource Center shares the building with Code Enforcement. So when you go to get your permit, you see off on the side lots of displays showing you how to build greener. I actually didn’t take any notes there as it was all in the pictures. 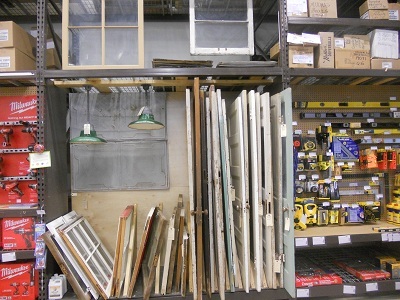 They had different types of windows, air filtration, lights, rainwater collection, insulation, attic ventilation, wall assemblies and even some recycled metal art to boot. 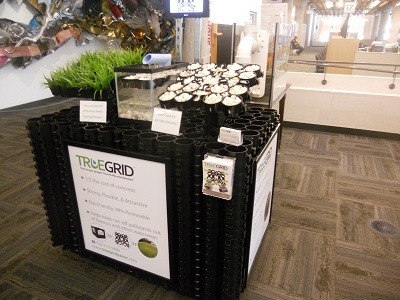 My favorite display was a version of grasscrete made of recycled plastic. The idea is that instead of pouring concrete for a driveway or parking lot, you lay these plastic grids out and fill them with either gravel or grass. The grids protect the contents from crushing and retain the permeable nature of the ground. They say it’s half as much as concrete installed. I can’t vouch for how much fun it would be to walk on it barefoot but it’s getting there. That concluded the tour. We drove back to the DFW area and pretty much crashed. This post is the online assignment and project we were given. The project was to analyze a recent project and give advice whether the decision that a particular developer had made was the best at the time. The main hitch to this assignment was that we were given no budget parameters. The description suggested though that the investors would not be willing to authorize any major renovations. Any suggestion for such may not be relevant then. The original project description can be seen on the professor’s web page. We were told in the second class we didn’t need to do the financials but I had already done them. One student had already gone to the site and seen they just turned it into ground floor retail (and thus not even remediated the flat roof problem). 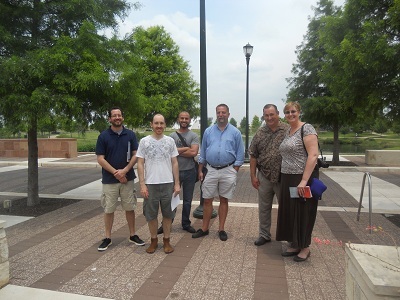 We spent the first part of this class with a guest speaker – Mike Brennan who is with Fort Worth South, Inc. His organization is responsible for administering the south Fort Worth TIF district. Mike showed slides of a number of pictures of projects that have taken advantage of the TIF to redevelop the area. Apparently this TIF has won awards for being such a model TIF. One project is seen here above – this building was remodeled and is now occupied by an advertising agency. 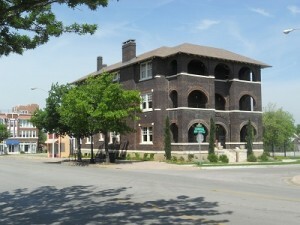 Of note were two major streets in the area that have seen the most development: South Main Street and Magnolia Street. 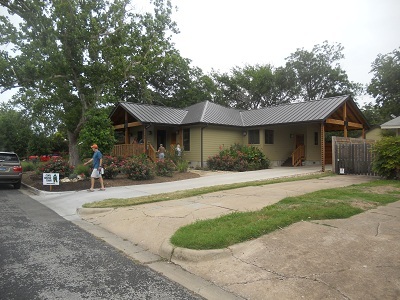 For the next part of class, we visited Bill Smith, a developer working on a building near Magnolia Street. He is developing the building to be Live Oak Music Hall and Lounge. Bill spoke at length about how he had the local community involved in the project from the beginning. 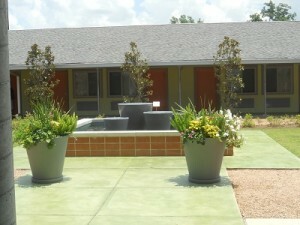 He’s been working with neighboring businesses to form a shared courtyard and pool resources for common services. Another interesting point was that he does almost all of his own design work. He said he didn’t graduate from high school but did take some drafting skills with him. He found himself in the landscaping business for a number of years, then into construction remodeling and now developing. The most interesting point to his story to me was that all of his investors are local people. A larger company came to invest and get a big chunk of it and he turned them down. After himself, his largest investor is his brick layer. As you can see from this picture, he has some good taste for interiors. We were able to tour the work and also go up on the roof. After that we walked up and down Magnolia Street to see some of the other buildings that Mike had mentioned. On the way back we stopped for lunch. After lunch we were supposed to meet an architect downtown who designed Montgomery Plaza. We went to his office downtown but he wasn’t there. Our professors weren’t able to get in touch with him so we came back to class to discuss our class project which I’ll post here later this week. I started the next class on Commercial Adaptive Reuse. We had a little class and then we went out touring downtown Fort Worth. We each took a building from www.fortwortharchitecture.com. 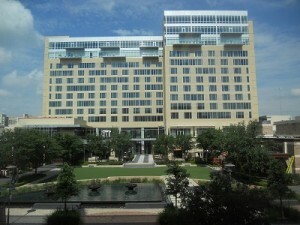 I had the Hilton Fort Worth. 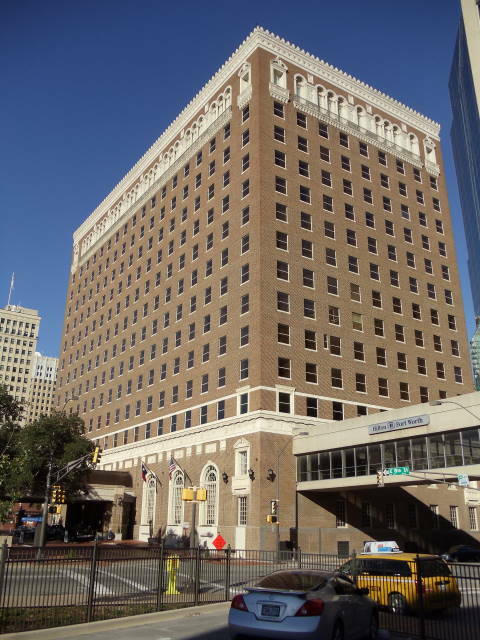 The Hilton’s main claim to fame is as the last place JFK stayed. It was also interesting to read the history since it’s building in 1921. At one point, they’d demolished the lobby to make two floors, added a ballroom, added an atrium and reopened the lobby, built an annex and then not included that annex in one of the series of rebrandings. The annex is at the other end of the sky bridge you see in the picture. There’s currently no one occupying the annex and I saw a couple of listings for it on a commercial brokerage site. After lunch was more interesting. We visited a developer who offices with an architect just south of downtown – Eddie Vanston. We were able to get some insight into the use of the Historic Tax Credit as well as the New Market Credit. 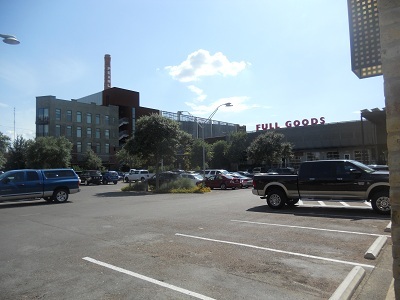 Eddie has taken a few industrial sites in the area and renovated them into mixed use retail and loft apartments. 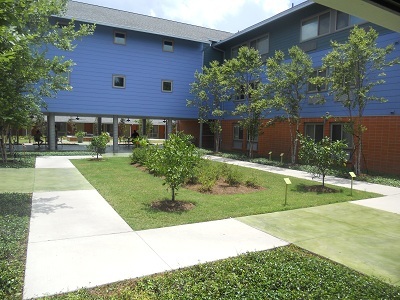 You don’t have to meet building codes or be ADA compliant for historic redevelopment projects. Industrial sites are easier to work with because they often have large open spaces inside the building envelope. South Fort Worth has one of the best TIFs around. There’s still a lot of demand for affordable housing. In this case the product tends to appeal more to creative types of people since the spaces aren’t standard apartments. The Historic Tax Credit can be complicated to work with if you aren’t familiar with it. Eddie tried a couple of times to use it unsuccessfully until he partnered with another group that knew how to use it. The New Market Credit may not be funded in future years due to common use against the original intent. HUD financing is often used too in these kinds of projects. That’s keeping with what I’d heard earlier about the fact that most loans these days are government backed. I’m not sure how extensive that is in commercial but my understanding is that something like 95% of residential loans are now government insured. Another interesting fact is that Eddie stated he gets his equity out of project within a year. He seems heavily involved with the contracting and property management as well so no doubt his costs are kept down. For our analysis class we were given a project to do an analysis on a potential investment given $250,000 that could be leveraged. I chose to do an apartment complex since multi-family is doing relatively well now in our current market. Also, I’ll say that I just finished reading Pocket Neighborhoods by Ross Chapin who I know is a favorite of tiny house enthusiasts. It seems that figuring out the financing is holding a number of people back from venturing into cohousing and related arrangements. After I finish some more work up, I’ll see about posting some thoughts on it. This is the last post in the Real Estate Trends and Issues series. It covers the last three days of topics since we toured Wednesday, we discussed on Thursday and then we have topics for today (Friday) but no class. All those topics are residential markets, multi-family, single family residences, appraisal, valuation, development, construction, adaptive re-use, redevelopment, transportation, TOD, architecture and facilities management. Out of all of that we mostly talked about residential which is the hottest market right now. Multi-family is still selling well as residential prepares for another wave of foreclosures. Then we talked about adaptive re-use (for which there is another entire class later this semester) and finished with transportation. Obviously I still have some thoughts about architecture so I’ll include those at the end. If you can believe it, we actually watched Jay’s Tiny House Tour as part of our class. While I don’t think that’s a major trend, I think it does fit in with the trend of changing living situations. Accessory dwelling units (ADUs) are becoming more popular and many cities have issued guidelines on how they can be built. Call them what you want – granny flats, mother in law suites, guest cottages… or tiny houses. The trend is that more families are moving back in together to save money and recover from the recession. And as the Baby Boomers start needing more medical care, we’ll see a lot more of them either move back in with their kids or have their kids move in with them to provide care. And then many more Millennials are moving back in with parents to save money. They don’t feel the need that previous generations did to go out and buy a home – especially in this economy. They’re more interested in socializing, traveling and collecting experiences. A mortgage on a house that may or may not appreciate is low on the agenda. As for development, the trend seems to be that private-public partnerships are slim pickens given the budget shortfalls that most cities seem to be experiencing. I tried to argue the case that developers would do better for themselves to avoid adopting a business model that depended on government help. I saw one article that major developers like Trammel Crow have opted out of the mixed use development trend because they concluded that most of them required public funds to be successful. Think of it this way. If you can generate a product that stands on it’s own, then you can do even better with public funds. If you can only create a product that requires public funds then you’re at the mercy of public funds being available. While there does seem to be a trend of government getting more involved in everything, I think there’s still something to be said of learning to be profitable. Also in development is foreign investment. I read earlier that a gambling company in Malaysia had bought up ocean front property in Miami to build the world’s largest casino even though gambling isn’t legal there. No matter though, they’ve also hired 13 lobbyist to get that fixed. Turns out the same company is building the world’s largest convention center for NYC and – wait for it – another huge casino. The government is all for it because they get a convention center out of it. And… it’s all privately funded. In appraisal it seems that they recently (past 2 years) passed laws to separate appraisers from lenders. Some claimed that part of the real estate bubble was from appraisers and lenders having too cozy a relationship and inflating prices. The result we have is that often appraisals are done by non-local appraisers and they’re turning out to be less accurate due to not knowing the local market. In construction, costs are going up due to higher demands for medical coverage and insurance fees. 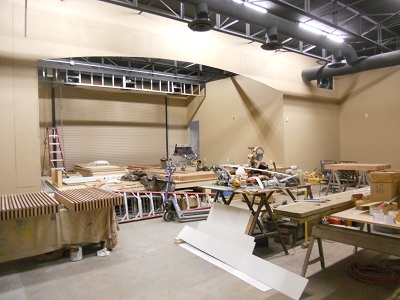 A significant portion of the residential demand for construction is going to remodels. When people can’t sell their homes, they fix up the one they have. Adaptive reuse is getting a lot of press. Some of these are privately funded and some are public-private partnerships. This is like rehabbing for the commercial market. A lot of the value in a commercial property is in the leases it has. If a slightly run down building is sitting vacant, it can be bought for a lower price, updated and then find good tenants. Many green building projects are being featured as redevelopments too. As for transportation and TODs (transit oriented developments), that’s a big trend too. Of course cities want to build in density and promote public transportation. Market trends though are that everyone still wants to drive their own car where feasible. We watched the Japanese bullet train go by at 300 mph. There’s no question that train stops help shape future development. Whether they’re so important that the future will be cities around these nodes is to be seen. What’s important at the moment is that there are opportunities to be had where transit oriented development is done well. Another point of interest is that there have been rumors of high speed rail coming to the DFW/Austin/San Antonio/Houston corridors. If you were able to work in Dallas but commute 45 minutes to live in Austin, that would be a significant game changer. Finally on to architecture. I have strong feelings about this one as I recently had a fairly unpleasant experience with my architecture department. As I’ve continued to read and study, I’ve come to figure out why. I came to architecture with a builder’s perspective. I built on spec and then wasn’t able to sell for as much as I’d anticipated. Having studied marketing and been a Realtor previously also informed my background. What I’ve come to learn about the current state of architecture is that it’s still functioning under faulty premises. If you’ll allow the comparison, modern architecture is like Newtonian physics while our better understanding is now quantum mechanics. Things are much more connected than our simple aesthetic of architecture as art trying to communicate something. The trend for architecture will be to adapt to design for people, not for industry. Terms such as “evidence-based-design” and “biophilic design” are coming more into play. Architecture must design within the context it finds itself and strive toward functionality. Profitability is an intermediate step that most architects haven’t made it too yet. I’d say we’re a ways away from it yet. If you tell an artist that their work needs to be functional, you’d probably be scoffed at. But then that’s probably why architects in general are having a hard time finding work these days and that they only design something like 3% of buildings. Either they need to learn to design for people or stop designing buildings that people will inhabit. If you want to build art, build art and keep that separate. We met in Dallas at Recycle Revolution for this class. This one didn’t have much to do with real estate either but it was still an interesting trend. This facility is a recycling facilitator rather than a recycling facility themselves. Their business model is to charge companies to haul away their recyclables which include just about everything. The idea is if you’re going to pay a waste disposal company to come pick up your trash, why not pay a little less to have it picked up as recycling instead. They also facilitate the recycling of hard to recycle items like electronics, glass and even toilets. 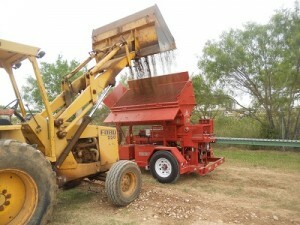 They consult on other projects like LEED construction waste management and zero waste businesses. The owner is a great guy and wants to see how this model can scale. Right now they’re primarily serving the downtown Dallas area though they can service anywhere in the DFW area though they might charge extra for mileage. If you’re close enough, you can drop off household items too. The next thing he wants to do is use synergistic approaches to community building. He was showing us a diagram that would integrate a community center, his business, composting and local schools in a particular Dallas neighborhood. It sounded like a good permaculture system though he didn’t mention that specifically. 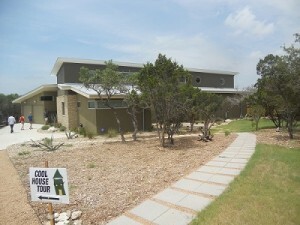 On Tuesday we took a field trip to The Botanical Research Institute of Texas because it was LEED Platinum. Then we returned to class and discussed the rest of the topics. It’s been interesting to see LEED projects up close and see that average people not only wouldn’t do them, but couldn’t. This project had a lot of really interesting features, some done impractically and some that wouldn’t have been done at all if a cost/benefit analysis had been done. Some of the cool features was that one wall was made of reclaimed sinker Cyprus wood which was basically wood lost and abandoned years ago in the logging industry. 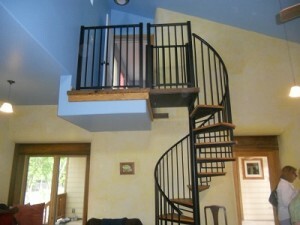 But then the architect went and made funky designs out of it and used a lot more wood than needed. They have a green roof where they’re trying to grow native prairie grass. Another roof has solar panel tubes on it. The tubes can catch solar energy from any angle. Unfortunately it wasn’t very practical because the company who made them has since gone out of business. They provide 14% of the building’s energy. The tour guide thought that they cost 2-3 times more than regular panels but that they would recoup the investment in 5 years. That doesn’t sound right though as most regular solar panels take longer than that to recoup. They tried to do their parking lot according to low impact development which is a way to maintain the natural hydrology of a place instead of contributing to the storm water runoff problem most buildings have. When I was leaving I didn’t see many curb cuts where they probably should have been. But they say they’re able to collect enough rainwater in a retention pond that they can continue to irrigate in the summer when everyone else has water restrictions. Of course they have to do press releases to explain that they’re not violating the restrictions. The put 100% wool carpet in many of the rooms which was a bad idea. While it doesn’t have VOCs, it sheds terribly when vacuumed. In the low light I could see it was worn and dirty from foot traffic. Even the tour guide thought that one was probably a bad idea. They have a geothermal well that we didn’t get to hear much about. Evidently their cooling/heating bill is pretty low. They have flushless urinals which we were encouraged to go see. Honestly, I think those things need to be flushed at least a little. It was kinda gross. The research area made more sense. The floors were frequently dirty from plant clippings and dirt and were made of recycled rubber which were easy to clean, durable and hid the dirt well. They have to keep the storage areas cool for the 1 million plant clippings they have. Most of the plants carry an interesting story though none of that seemed relevant to our real estate class. Overall, it was an interesting science and sustainability tour. Like I said, the more I see of LEED projects, the more I understand why most people don’t do it. When we returned to class, we touched on the topics of the day. Honestly, this was the hardest discussion for me. Emerging markets are interesting. I could talk about Brazil, India, China, Chile, etc all day. But the rest of the institutional money… well there just isn’t that much going on with it in the news. Everyone knows we’re in a recession and this percentage point or that percentage point just isn’t interesting. So we didn’t talk about that much other to make the point that debt is usually cheaper to use than private equity. As for emerging markets, we looked at China’s building boom and their ghost cities. They’re building cities to meet mandated growth goals but only a small fraction of their population can afford the price so they’re sitting vacant. They’re also already starting to need maintenance and may become uninhabitable before people can afford to move in. We talked about modular or prefab building a couple of times. The reason I think it hasn’t caught on here yet is the scale needed to make it profitable. China has production factories constantly running with orders for these things. A factory like that here would need a lot more business. If some major builder picks it up, we’ll probably see a lot more of it. We compacted two class discussions into yesterday’s discussion since we don’t have class on Fridays but do have writing assignments. The full list of topics assigned for Friday and Monday were hospitality, travel, resorts, international property, debt markets, lending, financing, foreclosures, REOs and workouts. 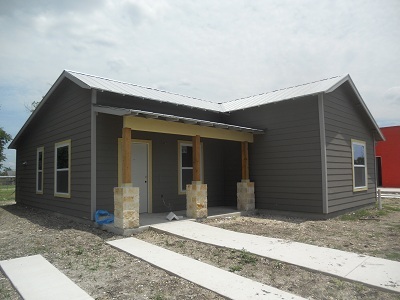 It’s worth checking out if you have any interest in Texas real estate. We were also shown the Wall Street Journal’s real estate section. 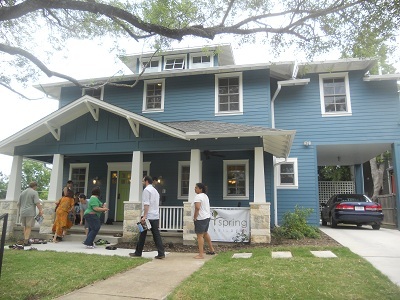 It’s a non-profit in Houston that’s building SROs – single room occupancy units. The rent is around $415 a month all bills paid. They are very small apartments but they’re renting out like hot cakes. The most surprising feature we saw was that they do not allow couples, children or pets – only on person per unit. That doesn’t sound like what we typically think of when it comes to affordable housing but it probably makes production of additional inventory easier. There’s probably less management required and an endless supply of tenants that fit that demographic. One conversation that we started what the ethics behind affordable and especially subsidized housing. My point was that if you’re just going to have the city pay the person’s rent, why not instead lower property taxes and cut out all the bureaucracy? The arguments went from improving schools (it doesn’t) to redeveloping blighted areas. While we were advised that we were getting into policy issues rather than real estate per se, my argument for developers was whether you’d want to base your business model on government funding. No doubt the trend is that government funding is taking a larger role in just about everything but that can’t last forever. At some point we need producers instead of simply redistributors. I see it as a win-win if you hone your business skills to survive without government support. That way you can thrive with government support and make it just fine when it runs out. There’s also a perverse loss of sense of things when you exclude normal market feedback such as supply and demand and price. Take education for example which we also mentioned. When government funded education fails miserably, we think we need to give it more money. When a company (without inside political ties) fails, the capital is reallocated to something that’s more appropriate as evidenced by profitability. Without profitability we can’t know if anything the government does benefits the consumers more than what they would choose for themselves. Then we got to hospitality. We watched a video on an ice hotel in Sweden. That’s not a trend but trying to be more unique is. Capsule hotels in airports seem to be catching on. I can guarantee you they beat sleeping in the waiting area which I’ve done before. Other hotel/travel trends we discussed were couch surfing, house swapping, and hostels. We briefly touched on convention center and attraction hotels, kid free establishments and dog hotels. Another big trend are all inclusive hotels and online pricing channels. Mobile is playing a big part not only in finding hotels but in check-in, ordering room service and even acting as keys. We finished up talking about the debt markets. The big news yesterday was that the White House is working up a deal to sell off government REO in massive lots of 50-500 houses at a time to investors to be used as rentals. The big issue with that (policy ethics aside) is the management of those properties. It will be a massive undertaking to locally manage property that’s spread across the country. We briefly talked about foreclosures and short sales. Of note was that last year foreclosures decreased. Not because the market was improving though. It was due to slow processing from “robo-signing” paperwork. That automation led to missing documents and fraudulent foreclosures. Servicers backed off until they could revamp the process and experts are anticipating foreclosures to increase again this year. The situation some owners are finding themselves in is that their properties aren’t worth the remaining value of the mortgage. It’s becoming more popular to simply walk away from the house and let the bank take it back. That’s called “strategic default” and it’s on the rise. Thirty percent of foreclosures were strategic defaults in 2011 up from 22% in 2010. That trend will probably increase this year too as property values across the US decreased by 7.5% in the third quarter last year.